Experience the spirit of sharing. 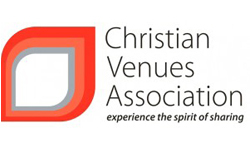 The Christian Venues Association represents more than 245 venues in some of the most beautiful places in Australia. These venues comprise more than 25,000 beds and serve over 1,000,000 guests annually! The Association consists of Christian Conference, Camp, Retreat and Outdoor Activity Providers, and is supported by over 500 individuals, who share their resources to provide a variety of venues, facilities and services to Educational, Community and Church guest groups in all parts of Australia. The FMStudio was approached to help redesign and restructure their in-house FileMaker Pro database. This involved the consolidation of a number of disparate systems, the cleansing of data and enhancing their solution with improved features and ‘usability’.